Matthew 25:31-46 “But when the Son of Man comes in his glory, and all the angels with him, then he will sit upon his glorious throne. All the nations will be gathered in his presence, and he will separate the people as a shepherd separates the sheep from the goats. He will place the sheep at his right hand and the goats at his left. 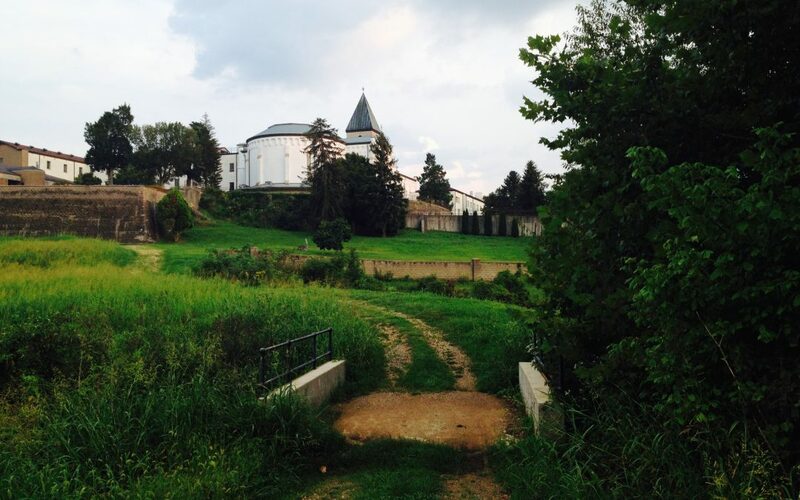 A couple of years ago, I had the privilege of visiting a monastery in Kentucky called the Abbey of Gethsemani. I went there the week before starting my second year of seminary. I wanted to set my year off right by preparing my heart for another year of ministry training. My friend had actually recommended it to me saying how formative it was for him. I took his suggestion, and I drove up to this little town in Kentucky. I arrived at this unassuming little monastery. I mean, the building itself isn’t magnificent, but the land it was situated on was beautiful. I knew that I would experience God at this place. As I walked in, I saw this beautiful little post. I knew that this monastery would welcome me in just because I had researched the Abbey online. It’s free for all participants who want to experience the monastic life. I assumed that most people visiting would be in similar situations as myself: faithful people wanting to experience Christ in a fresh way. But this place was open for all guests. It didn’t matter who the person was; the Abbey would be hospitable. Welcoming someone into your house, into your circle, into your country…might seem like a radical idea, but we can find plenty of Bible verses that speak on hospitality. In Deuteronomy, God commands the Hebrew people to love the stranger because they once were strangers in a foreign land. In Romans, Paul urges the church to extend love and mercy to the strangers. The author of Hebrews writes on hospitality in chapter 13. Pretty much the entire book of 3rd John is devoted to extending hospitality. Colossians has talk on hospitality. 1st Peter writes about being aliens. And I barely even used all the references that I found in the concordance on hospitality. It is fear that causes us to dismiss strangers. It is fear that pushes them away. It is fear that closes our hearts, and our borders, to them. Maybe we could take a cue from the Abbey. They don’t know every single person that walks through their doors. They don’t do a background check. They don’t screen. They don’t create walls. a school of the Lord’s service, a training ground of love. and proclamation of the Kingdom’s approach.